No. 21: For bright skin tone and lighter skin / No. 23: Medium skin tone and natural coverage.? 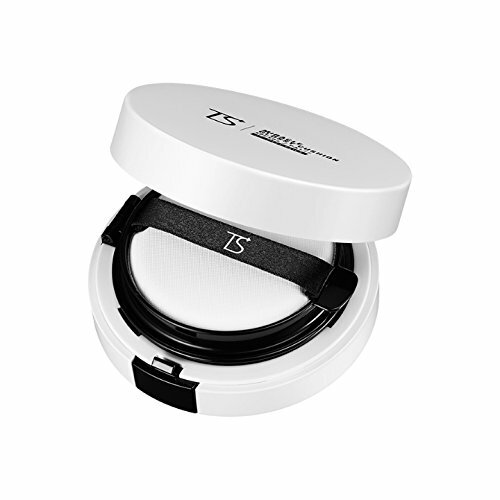 - TS Matt Cushion soothes sensitive skin and protects skin from ultraviolet rays to express natural-looking skin. Amino Grain-7, tea tree, propolis, and evening primrose extracts fill skin with moisture from within for healthful makeup. 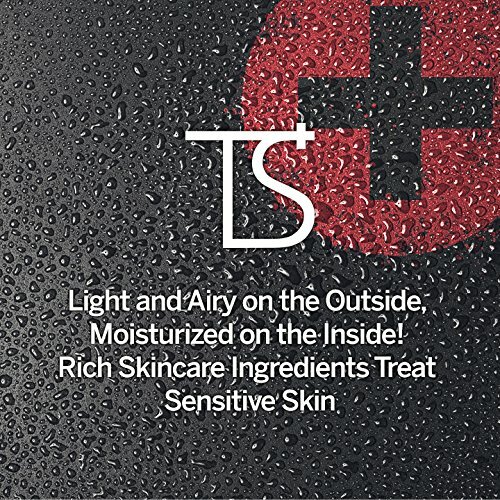 TS Matt Cushion is a triple-function product with sunscreen to maintain healthy skin during the day. # Amino Grain-7 and Various Plant Extracts Offer Healthful Makeup with Smooth Skin without Smudging or Patchiness.? 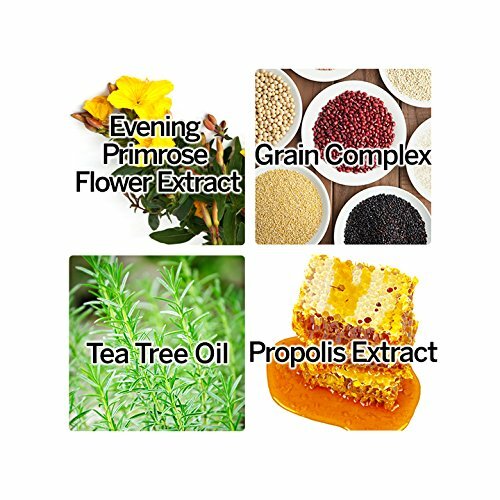 - Amino Grain-7, tea tree, propolis, and evening primrose flower extracts in the formula add smooth, silky texture to sensitive skin and keep it healthy. All-natural ingredients gently caress and perfectly adhere to skin with a moisturized finish without stickiness, even after corrective makeup. 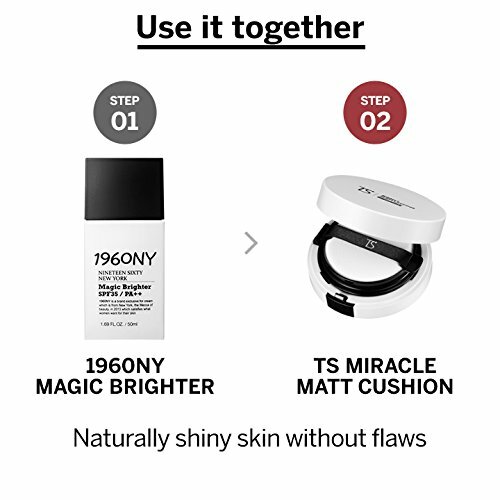 # The TS Miracle Matt Cushion is recommended for concerns like? - I? like to have a makeup look that feels moisturized on the inside and light and airy on the outside. - I want to retouch my makeup without smudging. - I want a healthful skin treatment while wearing makeup. - I need super-speedy makeup during busy mornings. - I want to hide my problem, blotchy skin. No. 21 Light Beige : Correct the yellowy undertone in light-colored skin to create a blooming, lively look. / No. 23 Deep Beige : Tone and even out my dark skin and create a healthy, lively look. 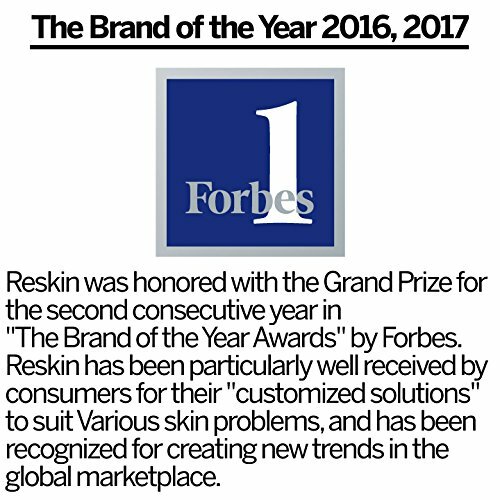 Indestructible Coverage That Can Cover Flaws for Long Hours! 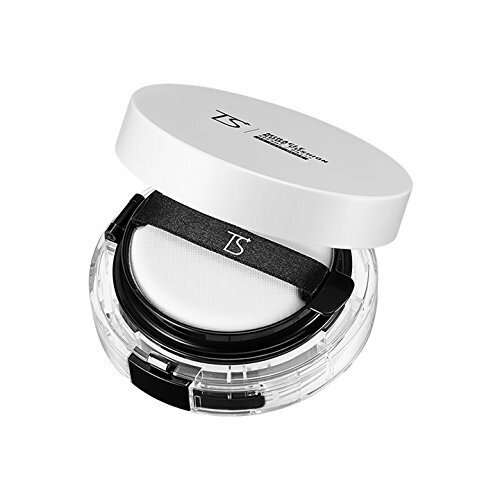 TS Miracle Matt Cushion for Oily Skin That Feels Light and Airy on the Outside and Moisturized on the Inside! 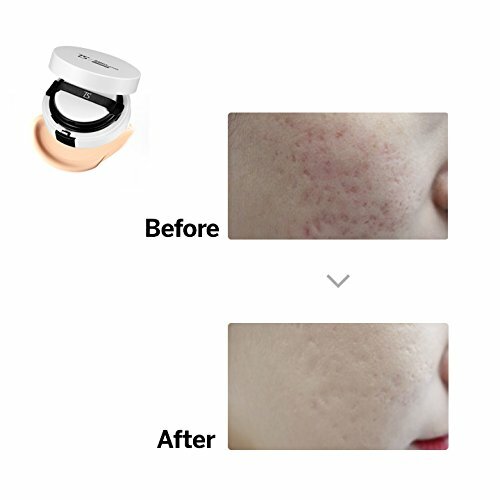 The Water Wrapping System instantly forms an ultra-thin film to control the evaporation of moisture while retaining moisture in skin for long hours to express a light and airy appearance. Wrinkle Improvement, Whitening, and Sunscreen: One Shot, One Kill! TS Miracle Matt BB Cream is an ideal triple-function BB Cream that takes care of all skin concerns during daytime under ultraviolet rays, providing not only makeup coverage but also whitening, wrinkle care, and sunscreen all at once. Builds Strong Moisture Barriers and Covers Pores to Express a Beautiful, Blooming Look. The cushion instantly forms an ultra-thin film on skin surface to control the evaporation of moisture and retain moisture to express a blooming look. Soft Focus Complex fills up cracks between wrinkles; its effect of scattered multiple light reflection covers up imperfections like fine lines and pores and gives skin a smooth, clean finish. 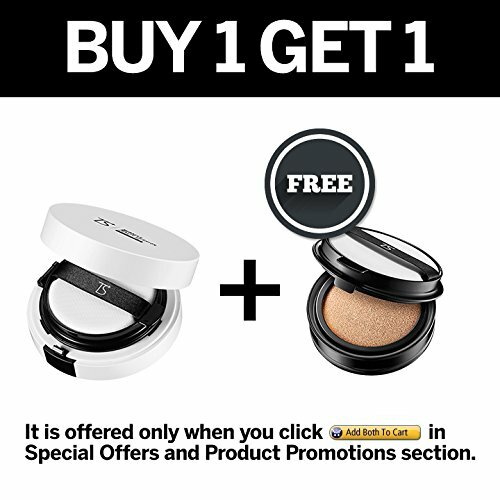 AWS Ampoule + TS Miracle Matt Cushion + RS BB Pact : If you want to go for all women's ideal look -- flawless skin that's taut and smooth -- at the basic skincare routine, first, moisturize your skin by supplying moisture using AWS Ampoule. 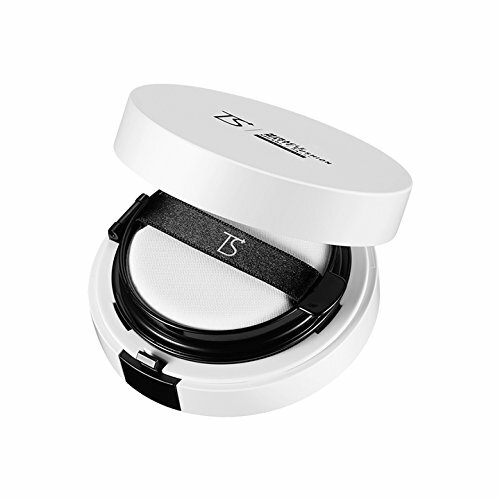 Then, thoroughly apply TS Miracle Matt Cushion focusing on flaws to create flawless, smooth skin texture. Lastly, using a powder brush, dab an appropriate amount of RS BB Pact and lightly sweep all over the face to create the look of soft, taut skin.